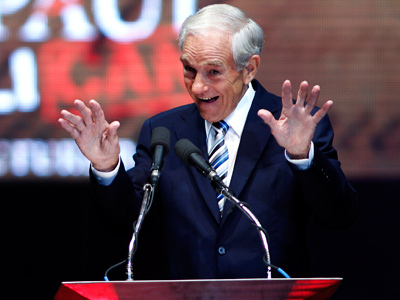 US Rep. Ron Paul (R-Texas) failed to secure the GOP’s nomination for the presidency at this week’s Republican National Convention, and his supporters made sure that others were aware that they were not taking the defeat sitting down. 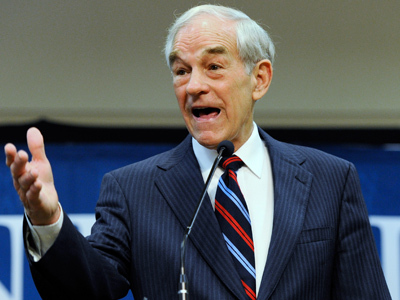 After being told earlier this week that he could only speak at this week’s RNC on the condition that he endorse former Massachusetts Governor Mitt Romney for president, Rep. Paul flatly refused to address the crowd. 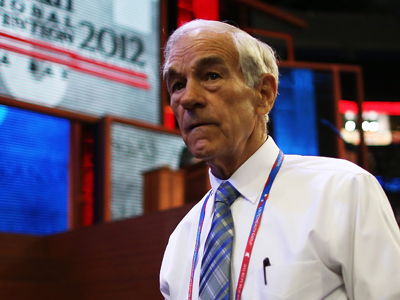 On Wednesday, Ron Paul backers were still loudly rallying for the congressman from inside the walls of the convention, an act that not only showed that his supporters are still rooting for Romney’s inner-party opponent, but that the RNC is real serious about their stance regarding Paul. Supporters of Rep. Paul say that private security hired by the RNC roamed the convention floor on Wednesday and removed any outside signage that endorsed the congressman. "All outside signs" were prohibited, Mike Zentz, an alternate delegate for Rep. Paul from Hawaii, tells the Huffington Post. On the contrary, though, Zentz tells HuffPo that RNC volunteers were on the floor of the convention at Tampa Bay Times Forum, on the ready to hand out signs showing support for the Romney/Paul Ryan ticket. When a pro-Paul delegate from Nevada made it past security with his sign, Zentz says, guards quickly swarmed and ensured that the endorsement wasn’t spotted by any television crews. "As soon as the camera moved on, security came and confiscated the sign aggressively," says Zentz. 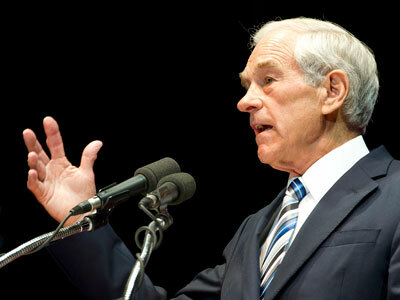 "But that was a state that was won by Ron Paul, and they were simply showing their support for their state's nominee." 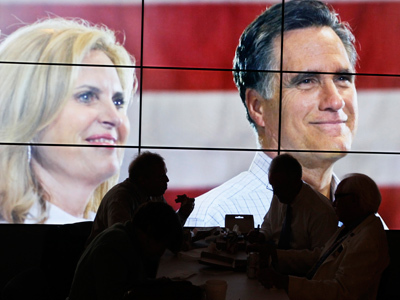 Andres Mukk, who was the lead Paul delegate from Hawaii, adds to HuffPo that the convention "has been a scripted media event to coronate Mitt Romney," and said, “I'm lucky our buttons haven't been confiscated yet." 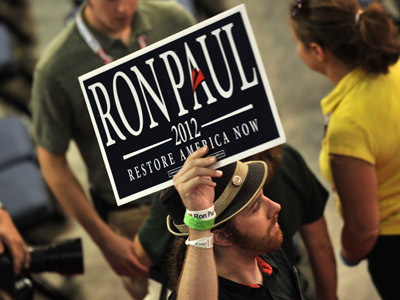 Delegates from the state of Maine were also up in arms this week at the convention over the party’s treatment of Ron Paul supporters. At the height of Wednesday’s addresses at the RNC, a group of delegates from Maine marched out of the arena I protest, chanting, “This convention is a farce" and “As Maine goes, so goes the nation." Although Rep. Paul did not take the RNC stage this week, his 12 terms in Congress were recognized with a video tribute that was broadcast inside the arena on Wednesday.